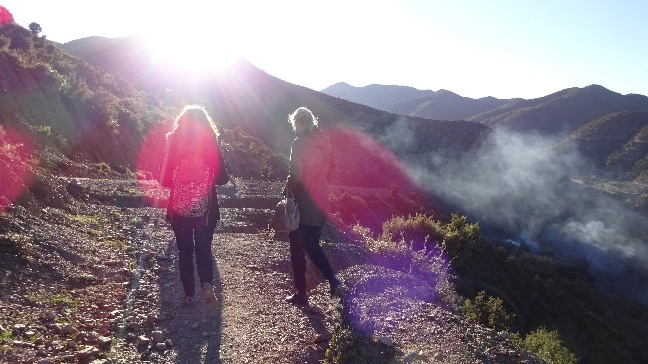 Last week the High Atlas Foundation in partnership with Germanwatch, a German NGO dedicated to global equity and people’s livelihoods, conducted a kick-off workshop in Marrakesh with important Moroccan stakeholders of energy and decentralization. This workshop marked the start of the Multi-Stakeholder Partnership (MSP) for an African energy transition towards 100% renewables, with a special focus on Morocco as one of the Energy policy pioneers on the African continent. While Morocco is a leader in the expansion of renewable energies on the African continent, renewable projects in the Kingdom so far tend to be large-scale. 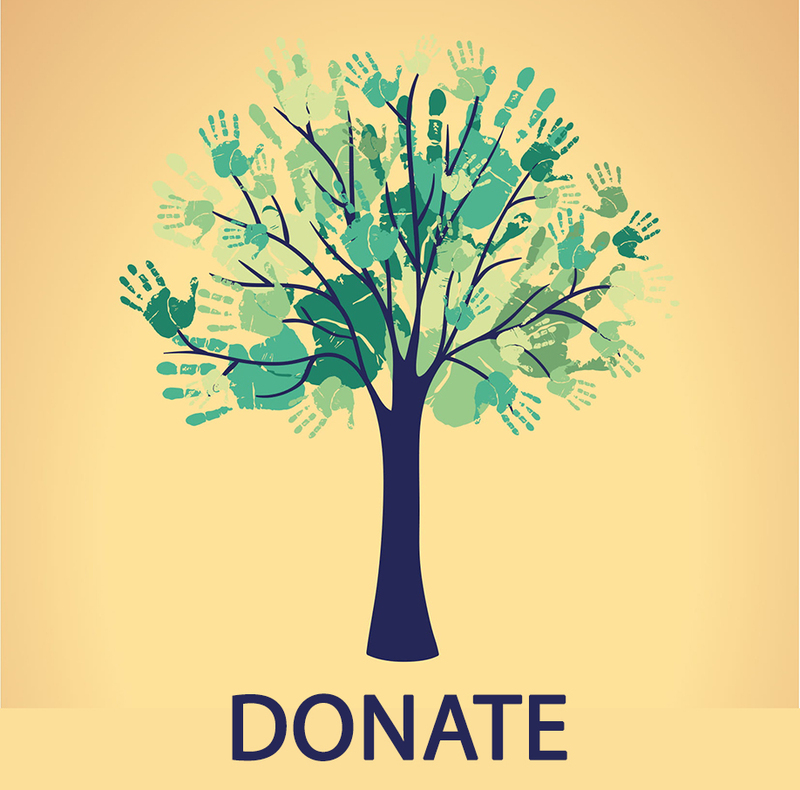 These large-scale projects have to be complemented by decentralized small-scale installations to benefit local communities and to create development opportunities. The workshop provided a forum for important project partners and stakeholders to get to know one-another, to share experiences and ideas related to current and emerging challenges, discuss opportunities of energy and decentralisation in Morocco, and plan the upcoming MSP, which aims to support and promote a decentralized approach to Moroccan energy transition. 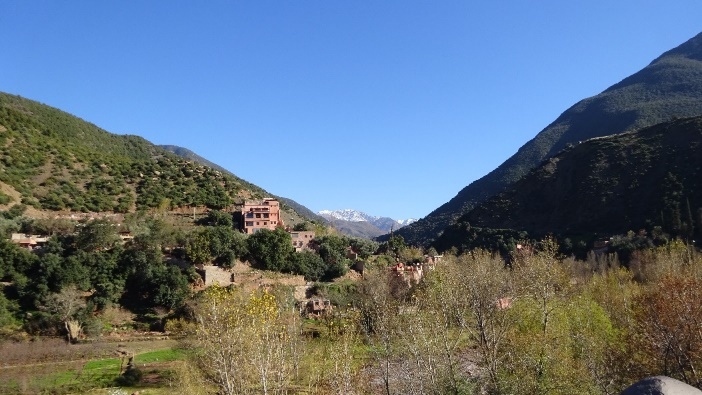 As part of the two-day workshop, the HAF team and participants visited community member of a village called Aghbalou in the Ourika Valley. Since 2016 HAF worked closely with the community from Aghbalou and utilised a multi-stakeholder approach, where HAF acted as a bridge between national and international civil society, who provided the necessary resources, the High Commission of Waters and Forests, who provided trees and land for the communities to plant on and harvest medicinal plants, and the local community. 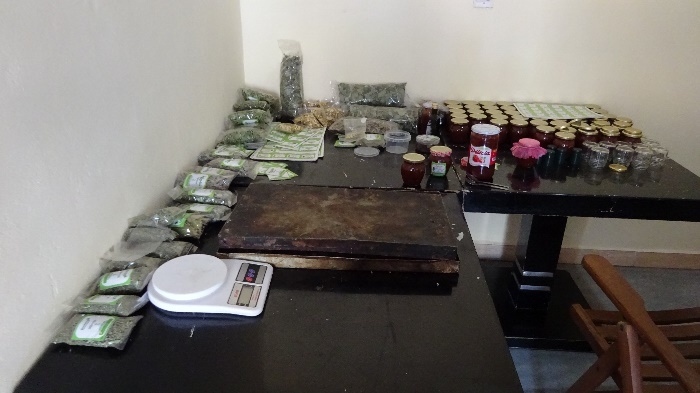 First, we visited the “Do Tmkit” cooperative in Aghbalou. This cooperative, which consists of seven women, produces dried medicinal plants, different kinds of couscous, jam, and teas. They started their production in 2018 with merely 100 medicinal plants but had and still have big plans in mind. One of them is to produce essential oils for medicinal- and skin care purposes. Fifteen kg of berries collected from public land nearby could produce 1 liter of essential oil, which could be sold for 400-600 MAD. 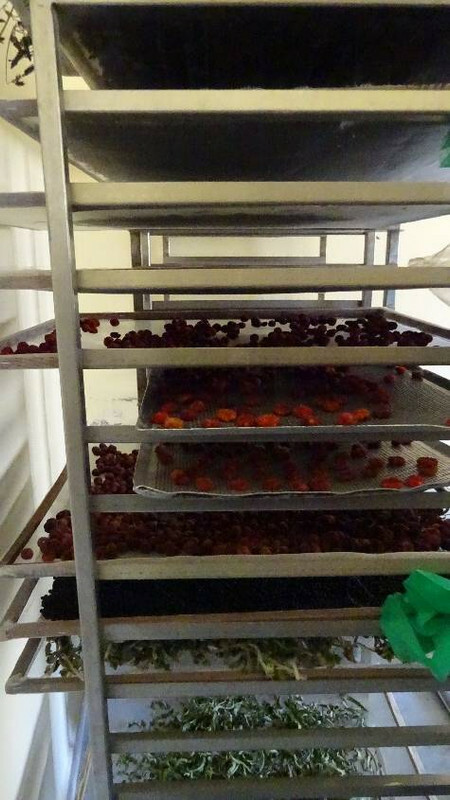 Because the berries are harvested from public land and the only costs involved is the workforce of the women, the potential profit for the cooperative is huge. To make this dream reality the cooperative pursues a formalised partnership agreement with the High Commission of Waters and Forests. Currently, harvesting the berries and medicinal plants from publicly owned land is tolerated by the High Commission of Waters and Forests but an official partnership agreement is still missing. 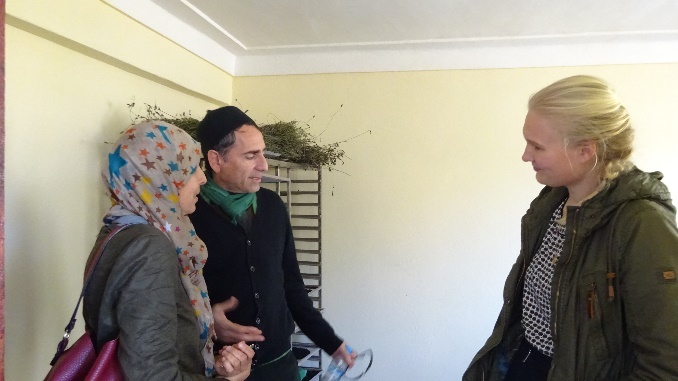 Through utilising close working relations, HAF will assist the cooperative to obtain this agreement and thereby enable them to take a big step forward towards their essential oil production. Another plan is to include men in the work because the cooperative wants to increase their production rate and the workforce provided by men would be invaluable to them. HAF’s project director Amina El Hajjami was very excited and surprised to hear about about this plan as this is the first time that a women cooperative want to work in collaboration with men, a sign of growing empowerment. After a tea on the sunny terrace with intense discussions, we met farmers, who were able to plant trees on public land, which was provided by the High Commission of Waters and Forests. The farmers showed us carob saplings, some of them a few years old, some of them planted just recently. 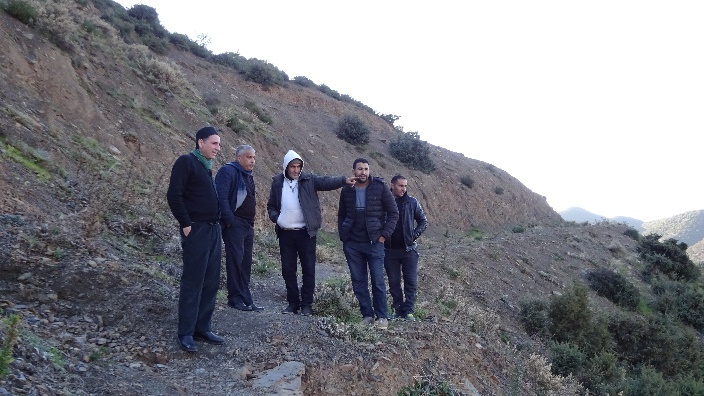 The carob trees were provided by the High Commission of Waters and Forests and by the High Atlas Foundation as part of the carbon credit program with PUR Project. In 2017 alone this tree and land donations enabled the farmers to plant 2800 carob trees. Carob trees have a life span of 150 years and one tree can provide approximately 100 kg of product, which can be sold for 12 MAD per kg. A formalised partnership agreement with the High Commission of Waters and Forests will allow communities to harvest the tree products and thereby increase their income and the income of future generations considerably. Simultaneously, the trees, which were planted strategically on eroding mountain slopes, prevent soil erosion and absorb atmospheric carbon dioxide, thereby reducing the effects of climate change. The trees need to be watered by the farmers regularly. HAF provided them with pipes and an electric pumps. The electricity is paid by the farmer association but they are now discussing to install a solar pump as this will be more cost effective in the long-term. For domestic use gas is the main energy source. Even though gas, which is subventioned by the government, is not expensive, gas is not always accessible for rural communities and it is not as clean as renewable energy. 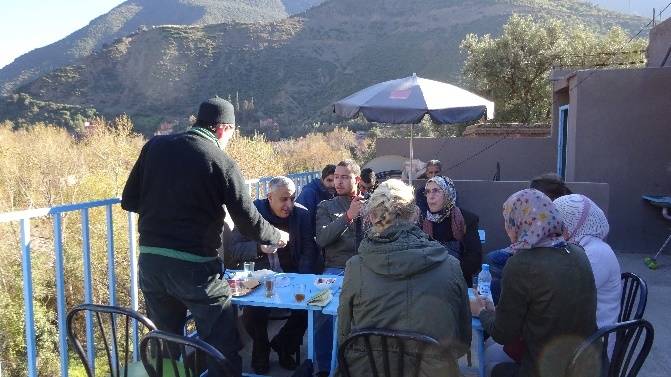 The discussion with the farmers showed that energy is closely connected to all areas of life and a renewable energy transition in Morocco is affecting everyone, even a small-scale farmer in a remote mountain village. Engaging everyone, from remote mountain communities to communities in big cities, will be crucial to achieve a successful decentralization of renewable energy. This field visit provided a valuable opportunity for the energy experts to learn about challenges and needs of local communities related to energy and decentralization. They also experienced hands-on and meaningful community engagement and cooperation with multiple stakeholders. Their lessons learned will help to inform the future projects of the MSP.